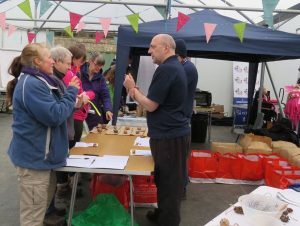 Thanks to everyone who came to see us at our stall at Seedy Sunday in Aden Country Park yesterday. 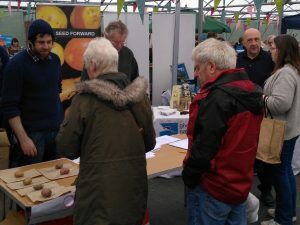 We gave away around 140kg of free seed potatoes, and look forward to hearing how you all get on growing the 12 varieties we distributed. Send us your photos and any questions through the Blog Us link under the Contact button.